positive local programming, promotion and outreach! Lori Lynn Greene is the Founder and CEO of In It Together Media. She began broadcasting in December, 2014 as she was contemplating starting a podcast to help more people through her business, Alpha Advancement Strategies. One morning she met with a local radio host to see how a show was structured. During their conversation the host asked Lori why she wouldn’t just start her own call-in radio show. Then they invited her to co-host with them the following Monday to get a feel for it. The first day on air one the host’s guest didn’t show up for their regular segment, so they began to interview Lori about outreach efforts she was involved with in the community. It went so well they discussed plans for Lori to begin her own show. While it was in development she co-hosted on the morning show, Monday through Friday from six to nine. After seven months she launched a weekly call in segment called “The Good Life” on WLMW, while simultaneously launching In It Together with Lori Lynn Greene on the VoiceAmerica Variety Channel. Both platforms gave Lori enough experience and insight into the power of talk radio from different methods. 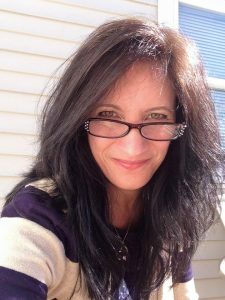 She quickly expanded her local daily call-in show from one to five days a week, hosting 13 regular segments, and decided to leave VoiceAmerica to devote more of her time to the local show. During this time, Lori helped the managing company find help for their production and sales. She also brought in an interior designer to modernize the station, and they held an open house with the mayor officiating the ribbon cutting. In April of 2015, in what seemed like a sudden blow, the station replaced the In It Together show with a political program, giving Lori little time to do something with 13 segments each week. She quickly set up the In It Together internet radio station. She’s had numerous interviews and reached thousands of listeners in Greater Manchester and Beyond! 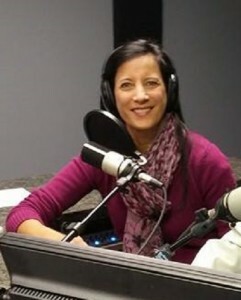 In March, 2019, Lori registered the trade name In It Together Media and expanded her commercial space with a new video studio, to offer livestreaming of her radio show. Her following and engagement increased exponentially, making her more attractive to advertisers. Lori is excited to be able to engage the community more and offer a positive alternative to the fake and negative media. She also hopes to bring advertising and promotional support to businesses and organizations who need to attract volunteers, donors and customers. As the way people buy is changing, Lori looks forward to helping established and business start-ups gain new customers through the daily influence and community engagement In It Together Media offers.